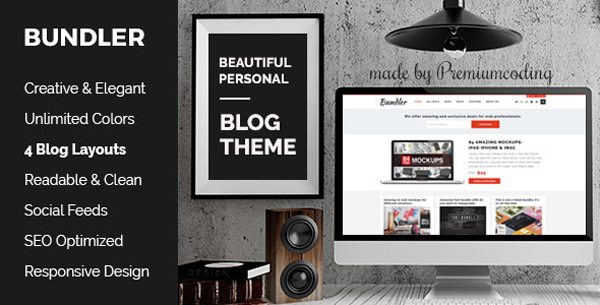 Bundler is a WordPress Blog Theme in clean and bold Design. It’s perfect for any personal blog or for a more advanced users which would like to sell digital downloads. You can create your own marketplace with bundler. You can now have timed products for your downloads. Offer extra incentive on your articles and provide stylish framework for your digital products. You can always opt-out (leave the timer field empty) to offer ordinary products (without the timer). Bundler comes with both sidebar layout and full width layout. You can preview 2 different layouts in our live demo (version with store and version with blog only).